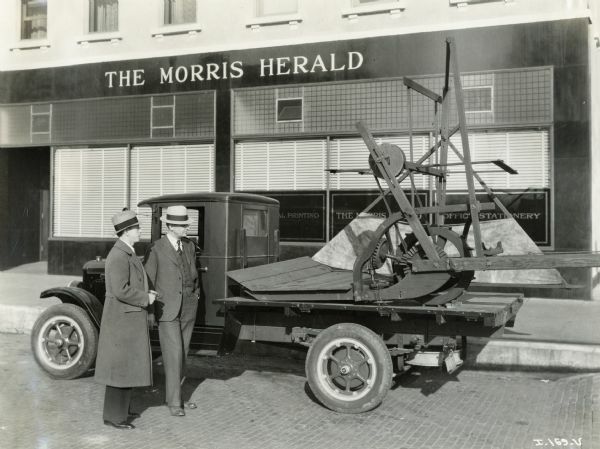 Two men examine a replica of McCormick's original reaper on the bed of an International Six-Speed Special truck. The replicas were produced for the "reaper centennial celebration," a promotional event for International Harvester. The truck is parked in front of the "Morris Herald" building.